John W. Boerner was born on August 16, 1874 at the Army post of Fort Hays, Kansas where his father was stationed. His family moved to Saint Paul, Minnesota when he was five years old. His father initially worked as a bookkeeper, but later joined the St. Paul Police force, where he achieved the rank of captain. Young John Boerner attended Cretin High School in Saint Paul. Later he played amateur baseball, starting on both the Northern Pacific and Knights of Columbus teams. After that he went to work for the Great Northern and Omaha railroads while he took evening classes at the St. Paul College of Law (Now William Mitchell). He graduated in 1903 and went into private practice. At some point Boerner married “Marguerite,” and they had two daughters. Boerner also went into private practice, later becoming Assistant Ramsey County Attorney, first under Thomas D. O’Brien, and then under Richard D. O’Brien. 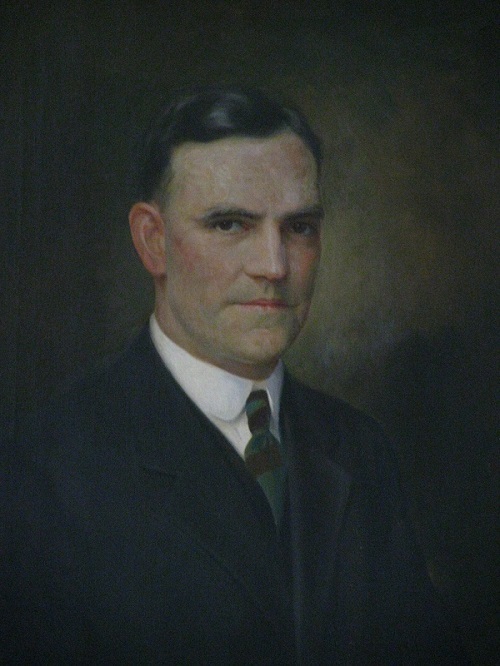 Boerner was elected District Court Judge in 1923, defeating Judge Frederick M. Catlin (appointed the previous year). He was re-elected to four more terms, finally retiring in 1949. (He was 73 years old, which was the mandatory retirement age for judges back then.) He died on November 9, 1955 at Miller Hospital due to complications of a heart condition. He was 81 years old.